"One cannot think well, love well, sleep well, if one has not dined well." One of the biggest, most delightful pleasures of travel is discovering not only the natural, historical, cultural, but also gastronomical wonders of the country. Cooking and eating in a foreign country could be surest and truest way to its soul. Thus, don’t miss this opportunity while traveling and explore Scandinavian countries vast culinary palette. Down in a cellar vault of the Stockholm Old Town you will find yourself as if transported back to the middle ages. Ancient swords, shields and animals pelts dot on the walls. Sitting in the candlelight on the long wooden tables without forks, just a spoon and a knife you will feel the spirit of Scandinavian history. The variety of dishes prepared by authentic recipes from the 14th - 15th centuries will certainly amaze you, and so will the waitresses in long tunics serving stone cups filled with home-brewed mead. Here you will step into a distant time to taste the food, drinks and environment that draws its inspiration from the 15th century. Hidden away in an 18th century harbor warehouse in Copenhagen, Noma has re-taken the top spot in The World’s 50 Best Restaurants list. Guests of the 45-seat restaurant enjoy extraordinary experience. Super Chef, Redzepi, serves dishes that can at times be shocking but guests who are ready to put themselves in his hands never leave disappointed. The Noma's chef is always at the forefront of new techniques to combine and prepare ingredients in innovative ways. Here, you’ll find Scandinavian delicacies like Icelandic seaweed, Faroese deep-sea fish, Greenlandic musk ox, sorrel from Danish forests, and more. 1. Fäviken Magasinet, Järpen, Sweden : Magnus Nilsson - the chef of the restaurant - claims that Fäviken is among the most isolated restaurants on the planet and the chef himself could regularly be found foraging and hunting in the 20,000-acre hunting estate for ingredients to serve in his rustic dining room. 2. 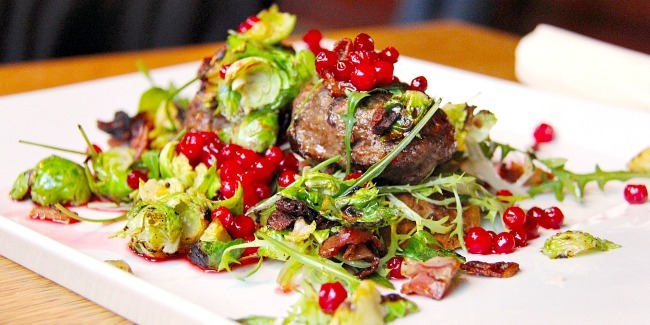 Restaurant Frantzén, Stockholm, Sweden: Restaurant's chefs use Nordic ingredients as well as Asian and Far Eastern flavors. Dishes often incorporate daring ingredients; blood and liver pancake with cherries and violet, and galangal root macaron with bird’s liver are only small part of this eccentric restaurant. 3. Geranium, Copenhagen, Denmark: Called as the most innovative of Copenhagen’s restaurants, Geranium is located at the eighth floor of Denmark’s national soccer stadium. The beautiful views inspire the head chef Rasmus Kofoed to create light and invigorating dishes decorated with natural materials like wood and stone. 4. Relae, Copenhagen, Denmark: The head chef of this venue - Puglisi - creates dishes that are unmistakably Scandinavian, but also refer to his Italian background. 100% of the ingredients used for cooking his dishes are organic. Restaurant was awarded golden badge under Denmark’s organic accreditation scheme. 5. Maaemo, Oslo, Norway: The restaurant is focusing on creating a comprehensive experience. It highlights the relationship between the raw produce and Norway's culture & history. The head chef - E. H. Banas - creates a succession of highly seasonal, modern dishes that bring up the pure flavours of Norway’s stunning nature. Any tour of Scandinavia promises tons of unforgettable experiences. If you want to spice up your experiences we will be more than happy to book a table in one of these incredible restaurants for you. Taste you way around Scandinavia with Firebird Tours.